November of 2019 saw my dividend income top out at $1,664.93 an increase of 26.73% from November 2017. YTD for 2018, I have a total of $23,423.68 in divided income (3.36% higher than all of 2017), putting me on pace for approximately a 13% YOY increase, and project to break just over $26k in dividends for the year. Q4 of 2018 should be my new all time high in quarterly dividend income, with December eclipsing just over $2,800. Dividends are a beautiful thing. I compare dividend stocks to being a landlord. Every month, I collect dividends (rent) and over time I am seeing the value of the stocks (think the property) rise. The beautiful thing of dividends, I don’t worry if the tenant will pay, or destroy the property. If I want to sell the property (stock), it just cost a few bucks and can be executed in seconds to raise capital. It’s also super easy to get the current value of the stocks, unlike in housing where comp sales can make a difference in value. So without further adieu, my portfolios dividend history dating back to January of 2008. Please notice the tabs at the bottom of the excel spreadsheet (monthly, quarterly, annual). And for now for some charts. So, why do I even bother sharing this information every month. I want readers to notice a couple things and encourage anyone who is in the earlier stages of building up there financial assets. When you’re starting out it may feel like you aren’t making any progress towards your goals. You may only have a couple bucks in dividends for the month. Don’t give up and keep at it. In November of 2008, I had $93.31 in dividend income. Fast forward a decade later and I am getting passive dividend income off my portfolio of $1664.93 (for November 2018), resulting in growth in my dividend income of 1,684.29% during that decade. That wasn’t much time that passed to build up to this point. 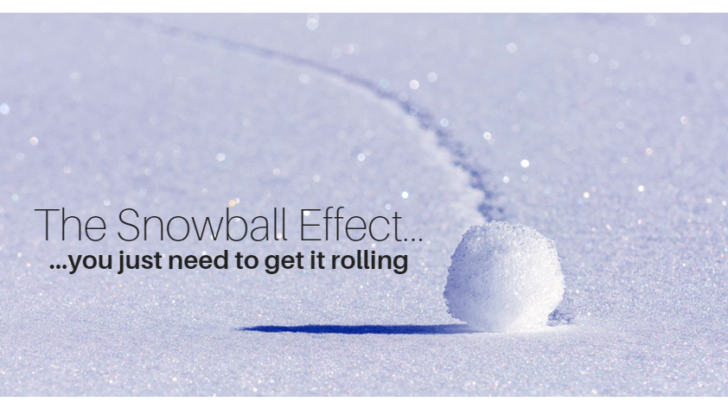 It’s like the snowball effect., you just have to start and get it rolling.